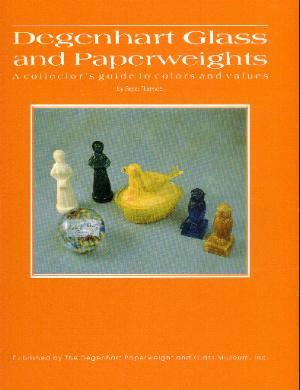 Originally printed in 1982 and revised in 1992, this is the definitive reference on Degenhart Glass and Paperweights. 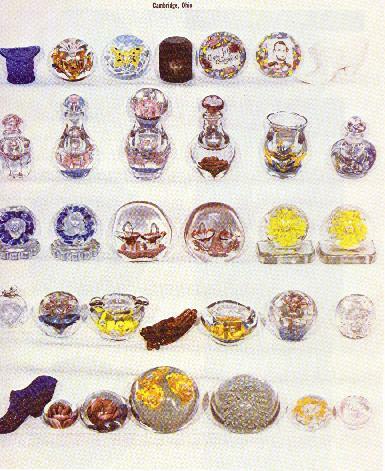 It includes a history of Degenhart's Crystal Art Glass company, information about molds and novelties, and an extensive guide to Degenhart paperweights. Included are Degenhart gearshift knobs and grave markers. Approximately half the pages are in color. Hundreds of items are shown in color. 111 pages plus a 16 page price guide. Soft bound (spiral bound). 8 1/2" by 11".